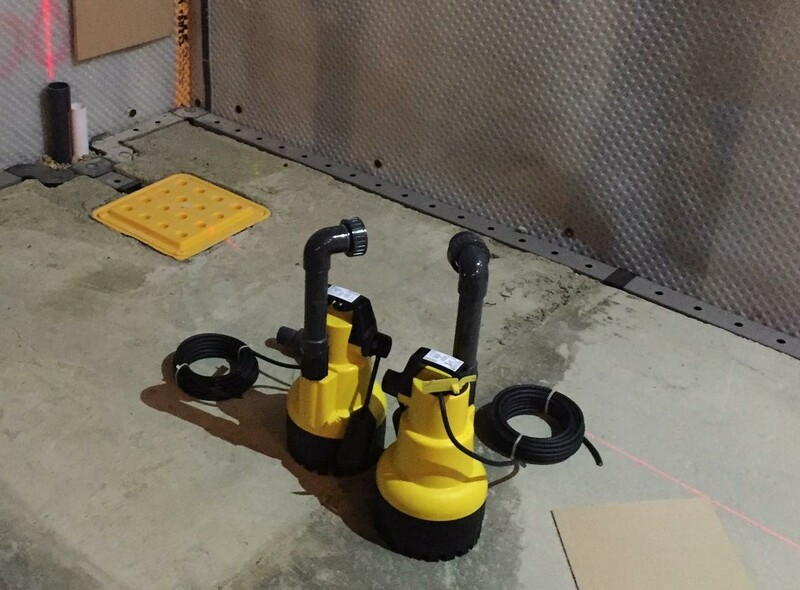 The majority of projects will require a collection sump + pump to automatically manage the evacuation of water ingress. 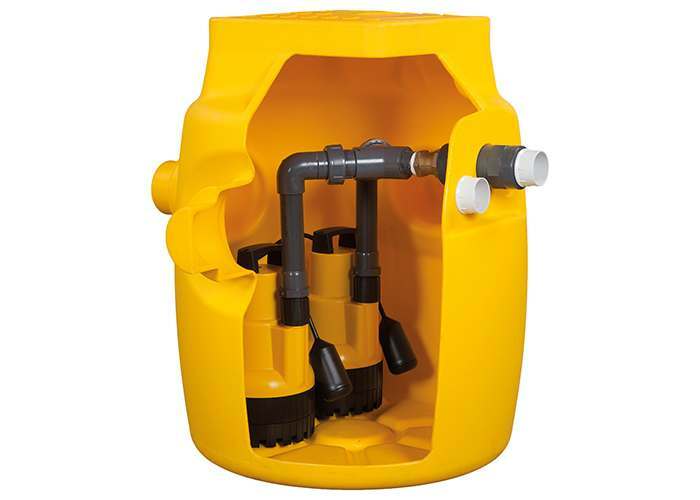 A sump + pump solution will require mains power to operate. Peace of mind is offered with the Maxx product range. 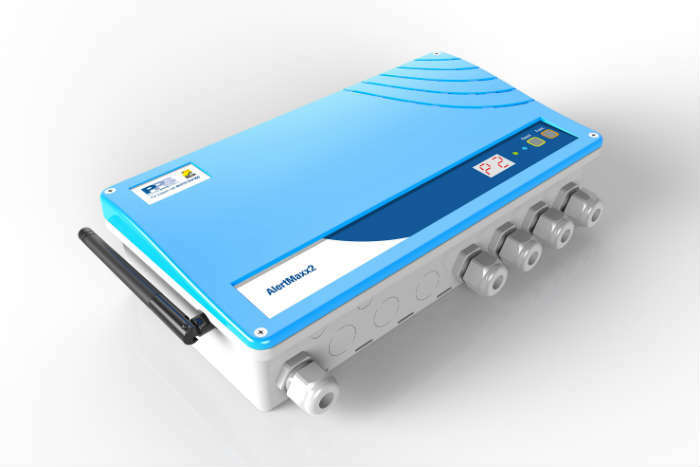 The AlertMaxx2 is a high level water alarm and monitoring system which will alert a home owner when there is a potential fault or service required to the sump pump. 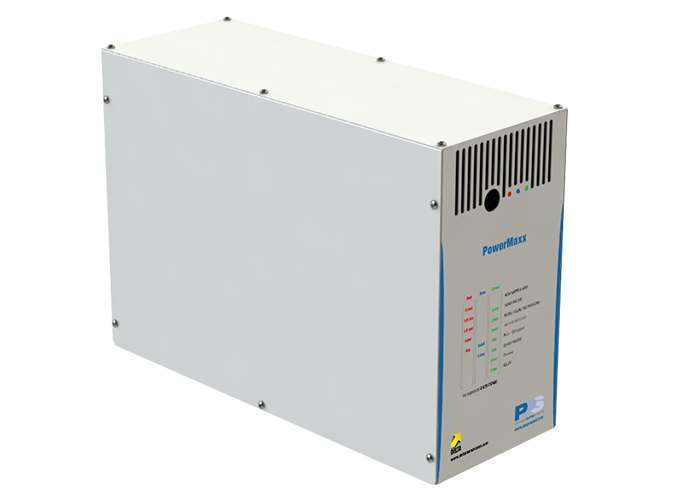 Our extensive range of battery back-ups offer unrivalled technology and will keep the sump pump working in the event of power failure. 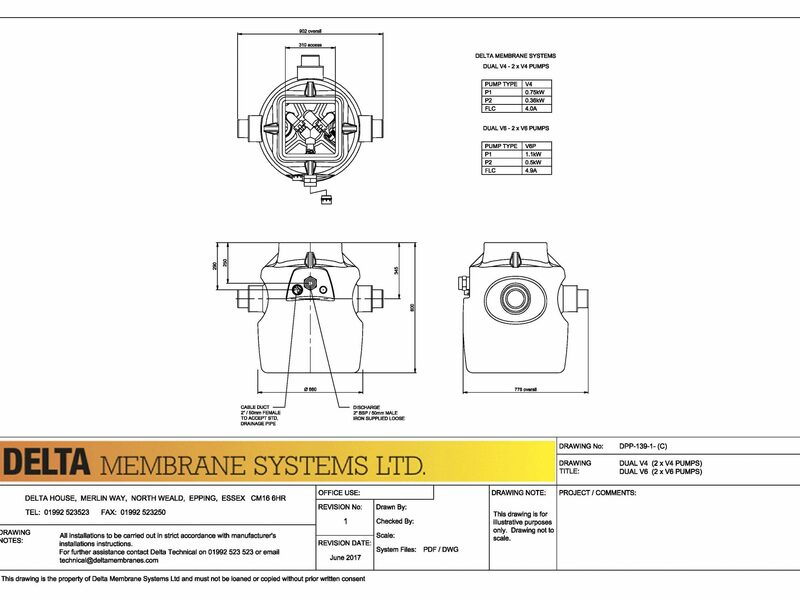 The number of pump systems required for each project will (in part) depend on the overall basement size, perimeter and also the method of drainage – Delta Channel, Modular or combination of the both. External surface water from light-wells, courtyards and terraces may be drained into the gorund water sump, providing the area of external surface water collection does not exceed 12m2 to each sump – if the external area is greater, advice should be sought from the Delta Technical Team. 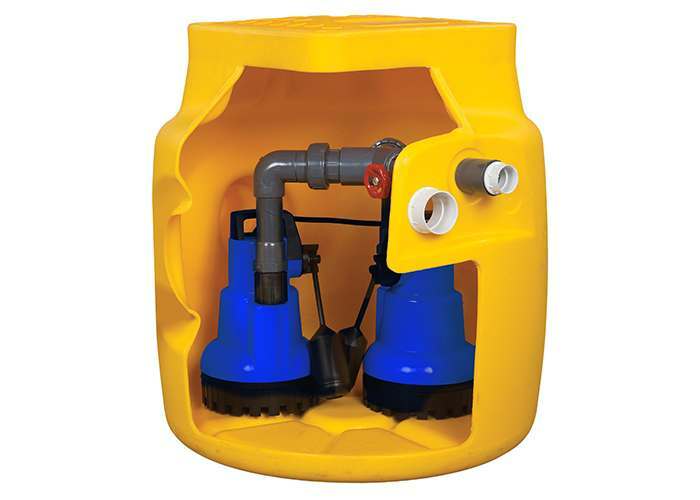 For each sump system, the recommendation is for two pumps in case of failure of the duty pump. In the event of failure of the duty pump, the secondary back up pump will take over, therefore significantly reducing the risk of potential flooding. 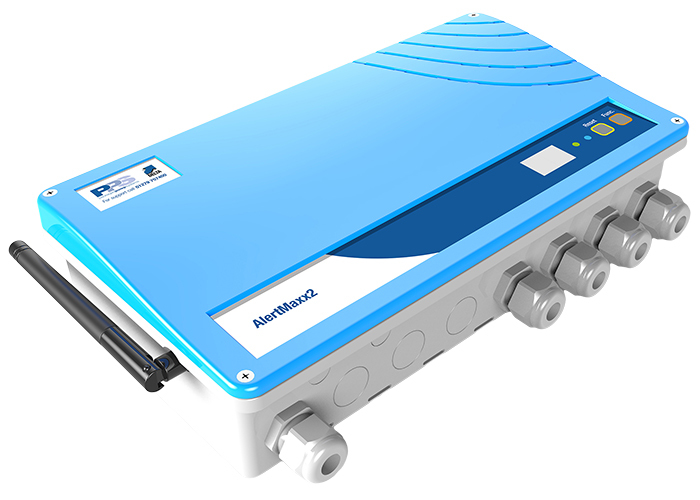 In addition a minimum industry standard would be to include a high level alarm such as the Delta Alertmaxx2 and power back up system such as Delta Powermaxx in case of mains power failure, again reducing the risk of potential flooding to the basement. 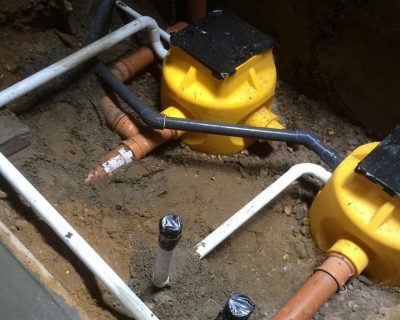 The concept of a Drained Cavity System is to collect and manage any ground water which breaches the integrity of a structure by managing, collecting and discharging such free water via a suitable evacuation point such as a Delta Packaged Pump Station. 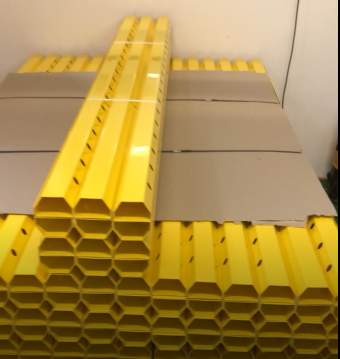 Channels incorporated into the design and laid level allow water to drain by hydraulic gradient and can discharge passively any water ingress into a Delta Sump or other suitable discharge point, it is of course important to consider maintainability (BS 8102:2009 Section 10.3.1). 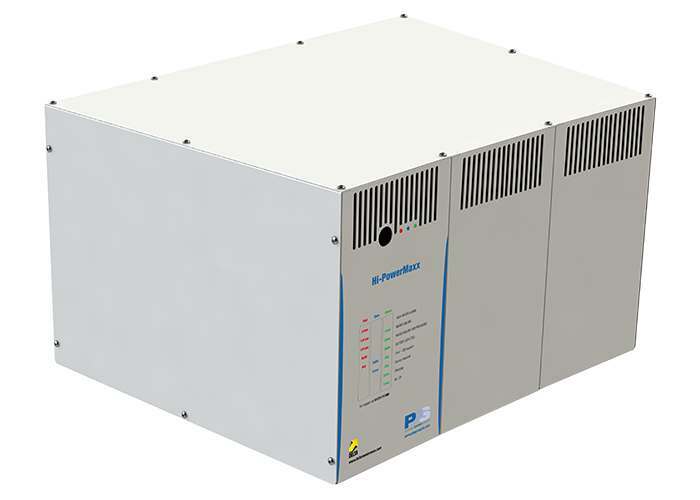 Delta offers a comprehensive range of Packaged Pump Stations which are suitable for the evacuation of Ground water, Surface water and Foul water. In addition we offer bespoke chambers for larger projects. 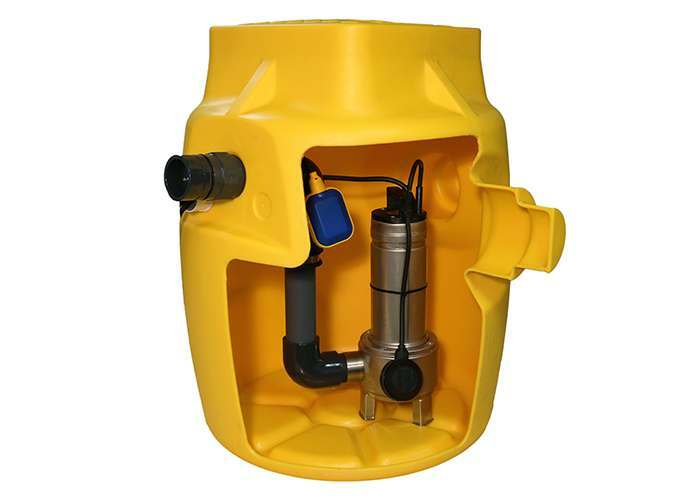 Delta’s sump pumps offer complete peace of mind.